With ... 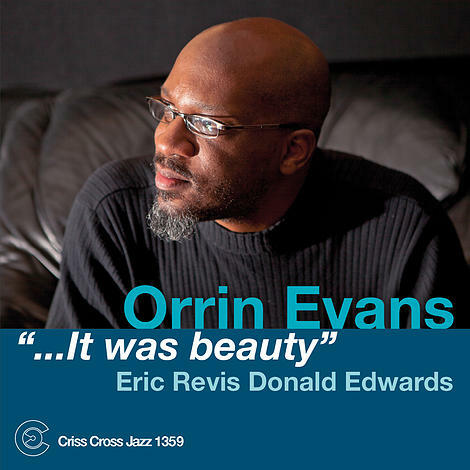 It Was Beauty, pianist Orrin Evans presents his seventh Criss Cross leader date, returning to the label for the first time since 2005. 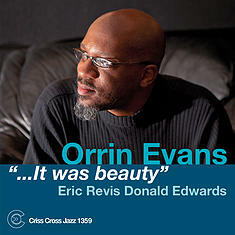 The title tells the story: On a reflective, immensely satisfying ten-piece program comprising mainly originals, the 36-year-old Evans -- joined by bass titan Eric Revis and master drummer Donald Edwards, both partners of long standing -- plays with old soul focus, presenting a deeply personal vision that privileges notions of dynamic contrast, immediately identifiable tonal identity, meaty harmonies, tension and release, and three-way conversation.